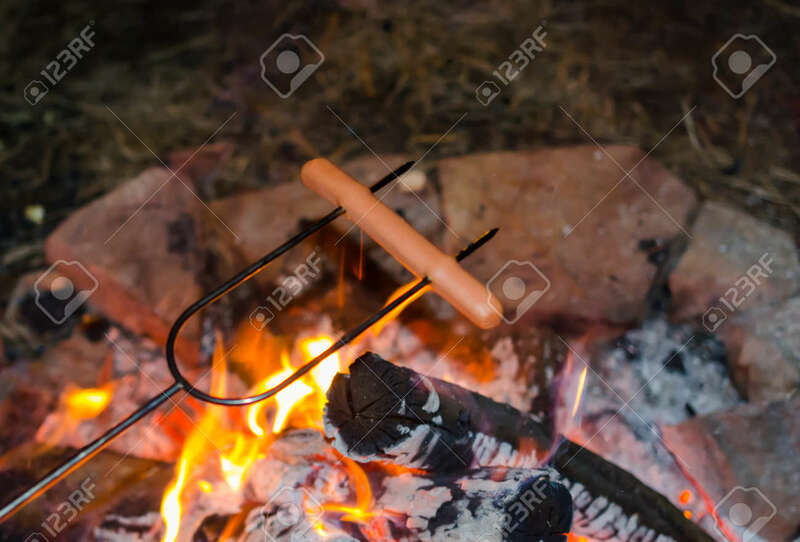 Roasting Hot Dogs Over Campfire. Fun And Relaxation Of Preparing Food And Camping Outdoors. Relax And Recreation In Natures Beautiful Outdoor Setting Lizenzfreie Fotos, Bilder Und Stock Fotografie. Image 114070608.